This has been my breakfast a lot since starting to work from home. This photo was taken 8 years ago in Ankeny, Iowa with a HTC Google Nexus One. yep, haha. 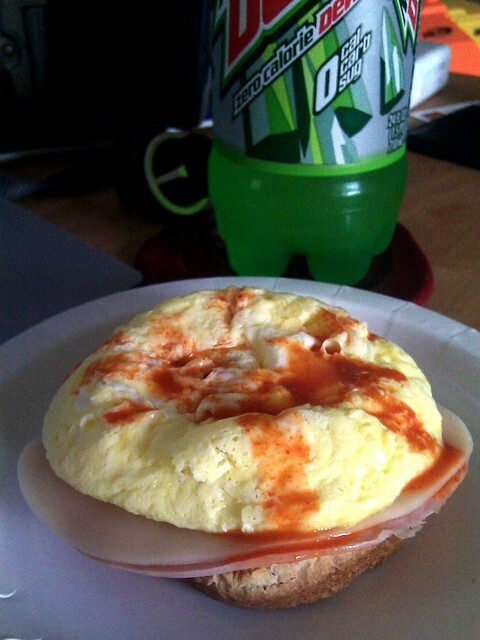 toast, ham, provolone, and a microwaved egg - topped with cholula of course.